Home of the 1980 Winter Olympics and dedicated to the Army’s 10th Mountain Division, Whiteface Mountain Resort opened in 1958 and is one of the High Peaks of the Adirondacks in Wilmington, New York. 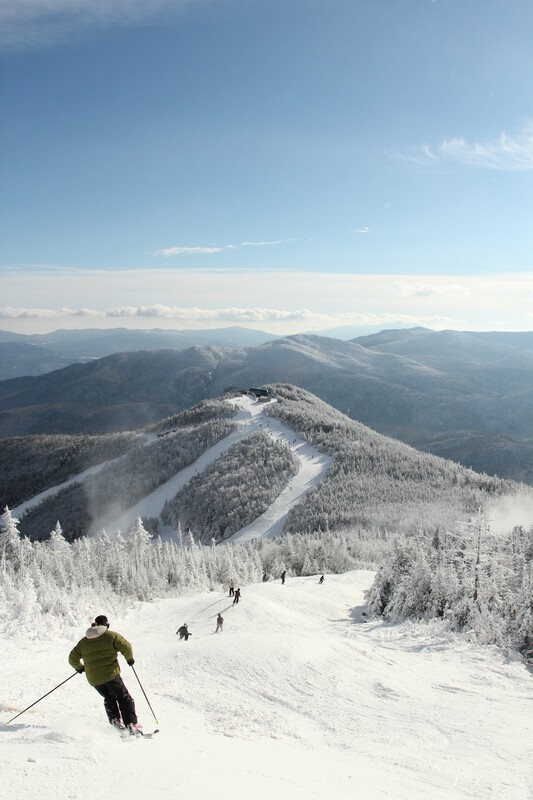 With the biggest vertical drop of the eastern ski resorts (3,429 feet), Whiteface, NY, offers 288 skiable acres serviced by 11 lifts, including one gondola. The ski area's summit elevation of 4,867 feet offers access to 87 named trails and 53 acres of glades skiing. Four terrain parks entertain freestylers and additional winter activities include bobsledding, snowshoeing, ice skating, luge rides and visiting the Lake Placid Olympic Museum. Summer activities include mountain biking, hiking and 4X4 tours. Looking for a convenient lodge? The Courtyard by Marriott Lake Placid offers spacious hotel rooms and suites. There are buses, an airport, car rentals, a variety of restaurants, cafes, bowling, movie theaters, nightclubs, bars, ski shops, retail shops, and gyms with whirlpools and saunas and spas in nearby Lake Placid. There is 98 percent snowmaking. Get Snow Reports, Powder Alerts & Powder Forecasts from Whiteface Mountain Resort straight to your inbox!